YTL forming bolinger band squeeze. When will it breakout bolinger band squeeze? 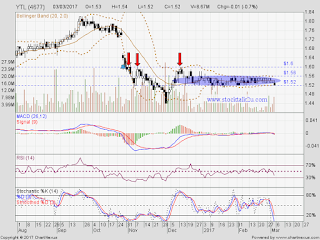 Immediate resistance @ RM1.56 level. 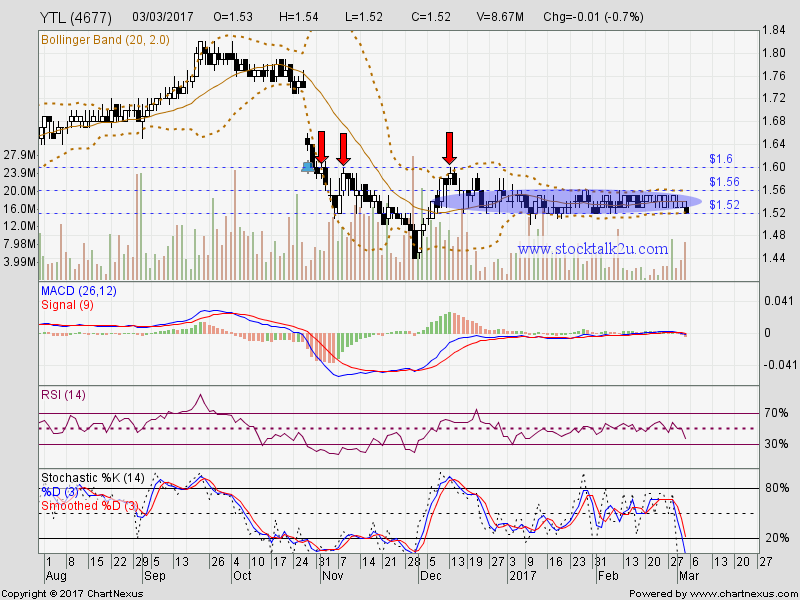 Subsequent resistance @ RM1.60 level.